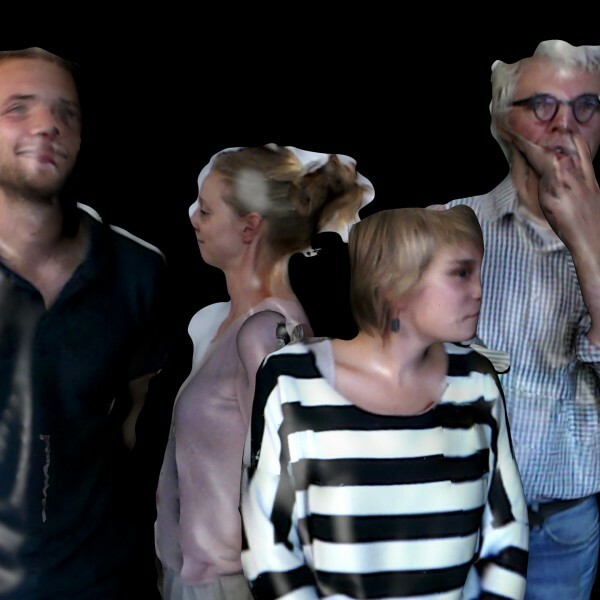 Über alle Festivaltage hinweg können Besucher C.a.p.e, die virtuelle 360°-Performance von CREW, erleben. Hier beantwortet das belgische Künstlerkollektiv um Eric Joris unsere 5 Fragen! »The dream of dwelling into each others bodies and thoughts is as old as the human brain. For me it started with drawing while I moved within a three dimensional picture. Later, I even caressed the pixels, physically. Now, with CREW, we step into each other's bodies, move, breath, act within them. Could we also swap identities? Can we mediate intimacy? From your point of view, what is the ›special thing‹ about digital games? The point of view, the narrative, the bodily engagement. Memory of a Broken Dimension. With this games you step into a noisy, black-and-white storm of pixelation. It has a high artistic value and it is simply about ›how to see‹. The more you concentrate, the more you’ll start to train your eyes in a certain way; to see or perceive things. Do you have any favourite role / character in a game? If so, why? Mario. He is a hero, created by Japanese video game designer Shigeru Miyamoto, that goes on an adventure to save Princess Peach. For sentimental reasons.